A self-taught outsider artist, Brian used cardboard to create objects and as his canvas. 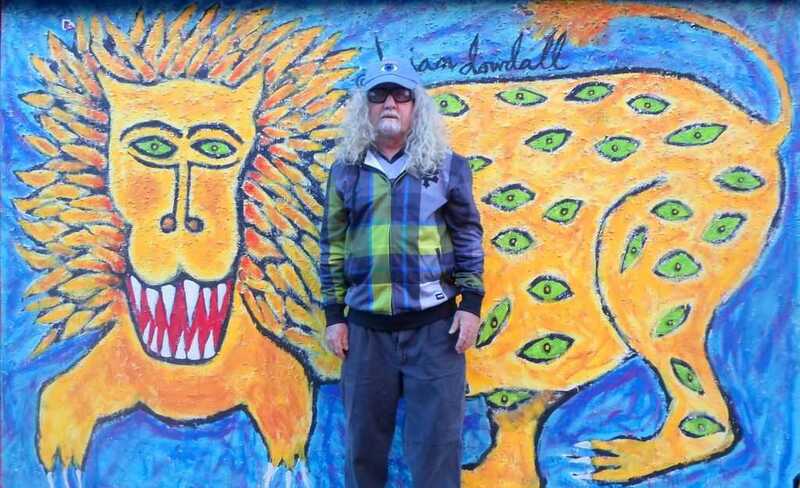 His paintings depict spirit animals, angels, mermaids and goddesses. Each animal was set in a luminous field of color” from the sun , moon, fire, earth, trees and water” Brian amassed over 2000 books on poetry, mythology, art and Irish literature. His home contained 5000 works of art, both his own and that of other visionary artists , works that he obtained by trading his art. He moved to Baltimore to work with the American Visionary Art Museum. The city of Baltimore provided a house for him to live in and in exchange he provide art works including mural throughout the city.